Sales tax filing software that makes it fast, easy, and affordable to audit sales tax and file with local and state authorities. Work for Sales Tax DataLINK? Learning about Sales Tac Datalink? I like that the suite of products helps with nexus and sourcing. I use the research tool extensively, but beware of the smart charts. I have found discrepancies in many of the smart charts, so double-check the sources with the state statutes/regulations. The software is not easy to learn and I have not had the best customer support. I wish I had better training before we started using this software so I could be using the full potential of this tool. Try it, it's a great tool for sales tax compliance. Great sales tax research tool for 50 states. I can research transactions in multiple states in one place (although I still verify with the state website). What Corporate Tax solution do you use? With TurboTax Business, you don’t need to know a thing about business taxes. Bloomberg Tax Fixed Assets is a fixed asset management and depreciation software that allows you to manage the fixed assets lifecycle from construction and purchase through retirement. The best choice if you're filing tax returns for your business and for yourself. Tax provision, compliance, and planning. KDK Spectrum is a software company in Taxation domain. Pull every transcript related to your client in minutes, complete with hundreds of calculations. Plus, it's free. SimpleTax is a HMRC recognised software, designed to be a simple way of calculating and submitting a self-assessment return. Oracle Tax Reporting Cloud is a tax-owned solution that works with your finance systems to help deliver effective, efficient, and transparent corporate tax processes including tax provision and country by country reporting (CbCR). 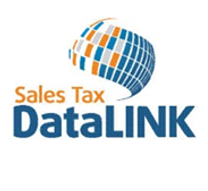 Learning about Sales Tax DataLINK? * We monitor all Sales Tax DataLINK reviews to prevent fraudulent reviews and keep review quality high. We do not post reviews by company employees or direct competitors. Validated reviews require the user to submit a screenshot of the product containing their user ID, in order to verify a user is an actual user of the product. Hi there! Are you looking to implement a solution like Sales Tac Datalink?